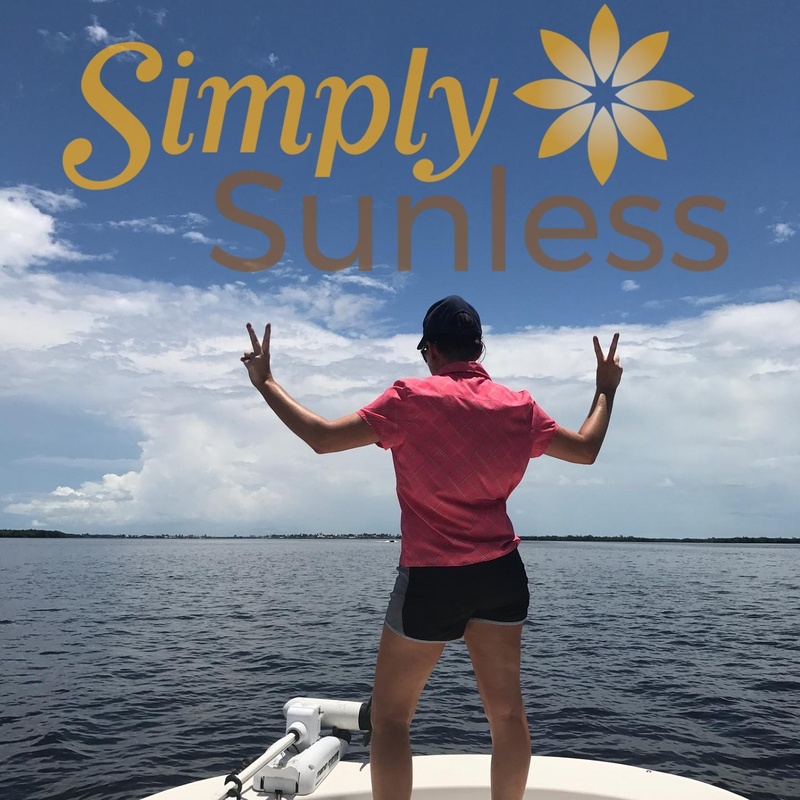 Simply Sunless Premier Mobile is unlike anything else you've ever experienced! Exceptional color, in the convenience of your home or office. Brooke is Master Certified with over 13 years of experience. 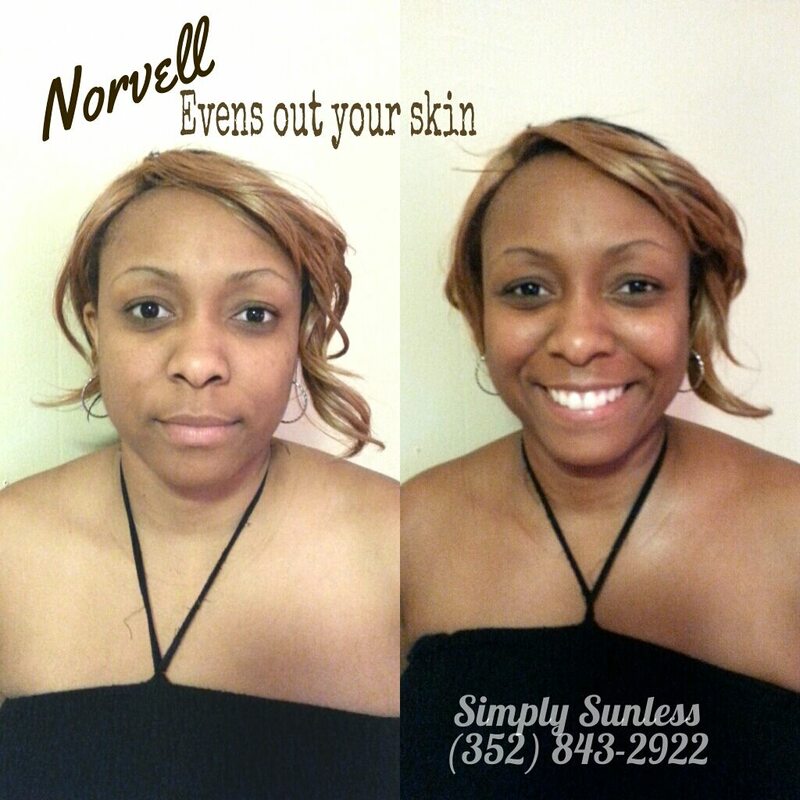 She offers hand applied, custom sunless tans. 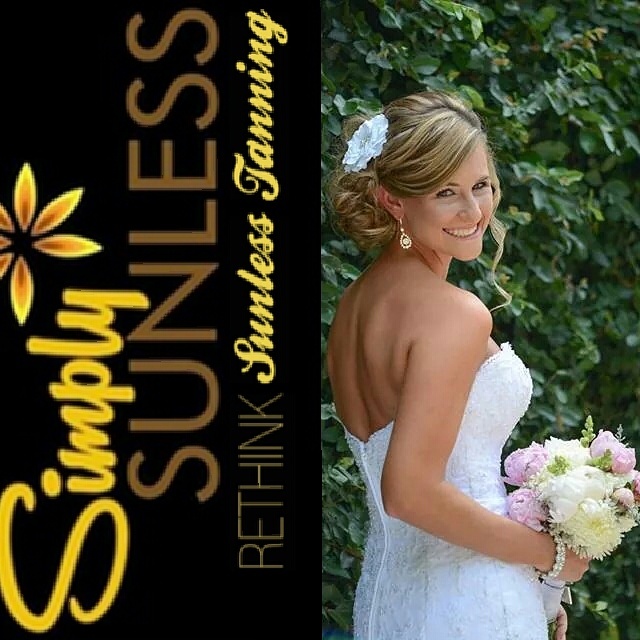 Simply Sunless offers exotic EcoCertified spray tans, meaning the solutions are as close to "organic" as it comes! 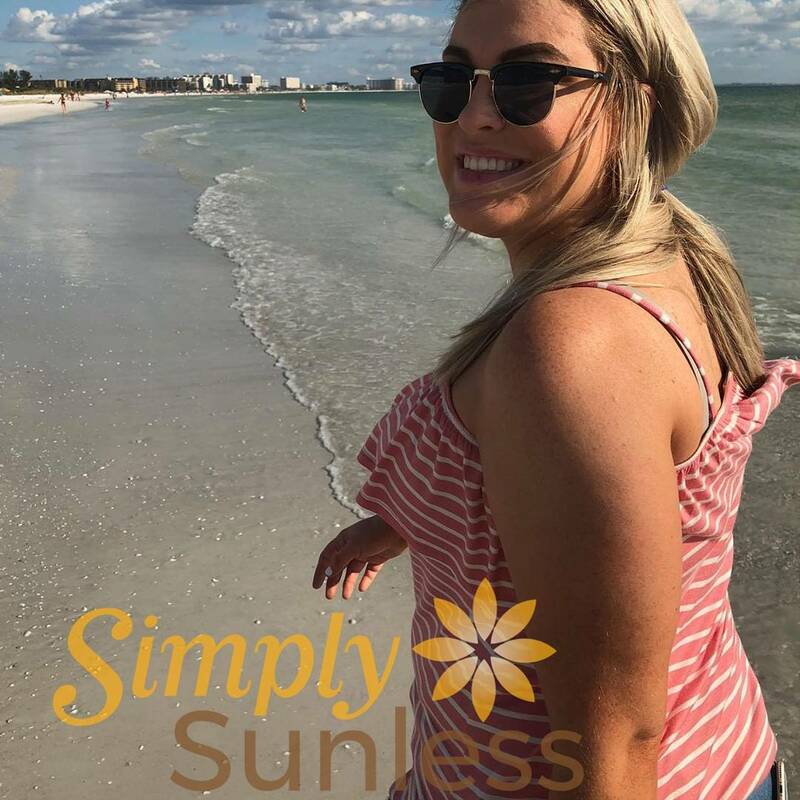 Whether you are looking for an every day glow, wedding day tan, or have a competitive fitness show, Brooke has solutions to meet all your unique sunless tanning needs. 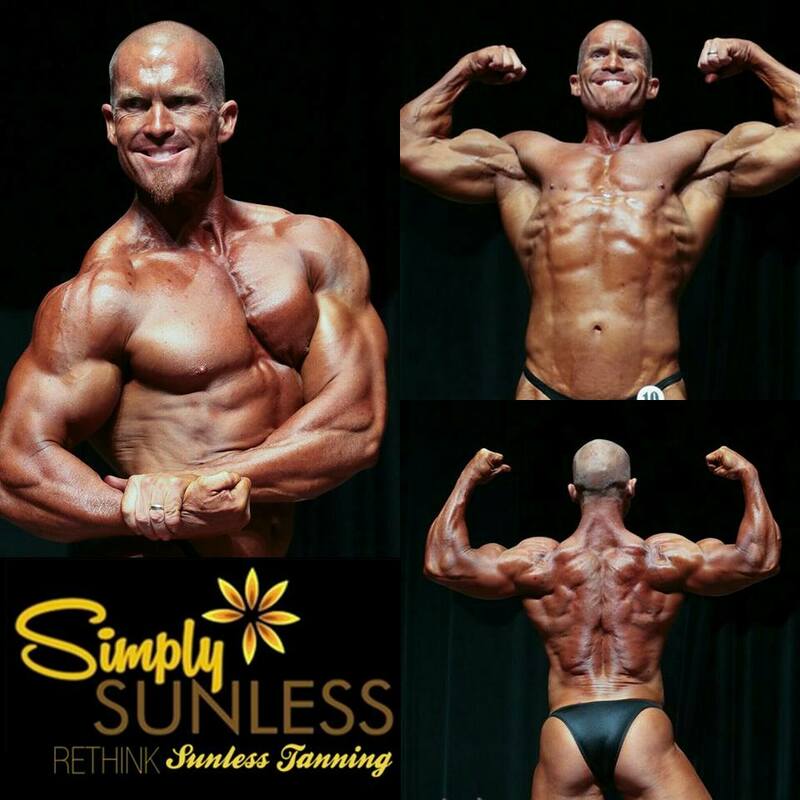 "I strive to give you the highest quality sunless tanning experience." ~Brooke C.
(05/04/2015) ​1. Streaky/Runny-looking Tan after spray tan development:What happened here is that water (tears) got on the spray tan before the DHA had time to properly set, resulting in an uneven tan and internet fame. The Fix: Wait recommended time before exposing skin to moisture to allow proper tan development!2. Sprayed, but no tan develops:If you sprayed and no tan appeared after waiting the correct amount of time then there was something on the skin acting as a barrier. These could be heavy soaps, moisturizers, perfumes, and even exfoliant residue.The Fix: Exfoliate prior to getting your spray tan. Work from the top of your body down so that you aren't getting soap or residue on a part of your body that you've already cleaned and exfoliated. And make sure you don't spray perfume on until after your tan has had time to set! This will improve your spray tan and your before/after selfies! Fun Fact: The first "selfie"ever taken was in 1839 by Robert Cornelius.3. Client touched something, accidentally rubbed off their tan, or wore skinny jeans/tight socks: This commonly occurs from wearing clothing that clings to the skin before it is fully dry or is too snug and rubbed the fresh tan. The Fix: don't wear tight fitting clothing, and try not to itch your leg/arm while your tan is still drying. 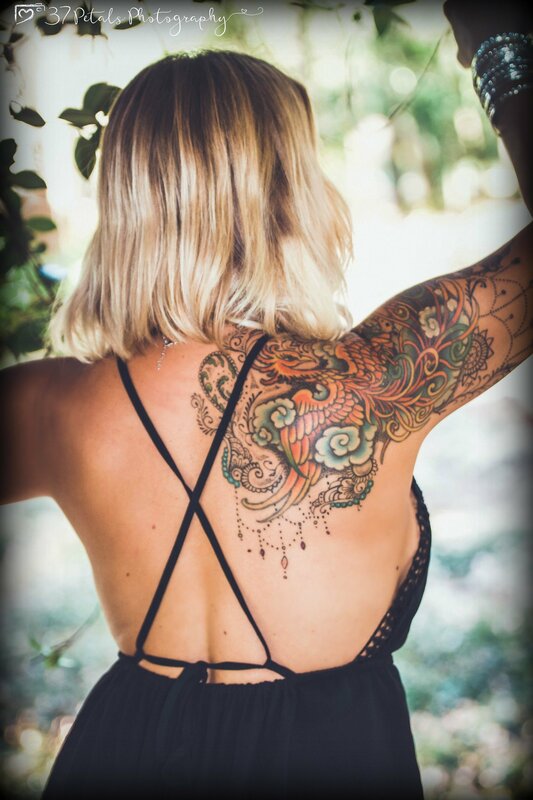 Once it has dried you should be able to wear tighter clothing, but it's still prudent to be aware if your skin is rubbing and where--those are going to be your problem areas that will need more moisturizing to keep the tan from fading faster.4. Face fading faster than rest of the tan:This is a more common problem among female clients. Applying and removing makeup, and simply washing your face, can cause your tan to fade faster. The Fix: Maintain a healthy skin care regimen and moisturize at least twice a day (morning and night!) 5. WAY TOO MUCH COLOR:If this occurs then you are probably using a solution that was too strong for your skin type. The Fix: try using the next color level down Fun Fact: in the early 90s Will Ferrell worked as a mall store Santa Claus 6. My spray tan looked good when I went to bed, but when I woke up I had patches:This happens if you go to sleep with your hand on your arm, leg, or face. What will happen is that the tan will transfer from one area of skin to the other. Keep in mind that this doesn't always happen, and most often happens if you go to sleep while the tan is still sticky or tacky feeling. The Fix: Wait until your spray tan is not sticky or tacky feeling before going to bed. If it is still sticky/tacky and you can't stay up any longer, sleep with loose pajamas on (some people also wear socks or mittens on their hands). Or you can choose the Rapid solution and shower before bed. 7. Flaky Tan: Most often caused by dry skin, but can be aggravated by using a products containing alcohols and being dehydrated. The Fix: Simple: Exfoliate before your spray tan and moisturize frequently. And if possible avoid products with alcohol in it! Also, keep hydrated naturally. Coconut water is an excellent source of natural hydration!8. Peeling spray tan: sunburn before spray tan:A sunburn's peel can greatly affect your tan! It means that the skin underneath (that is soon to be revealed when the burnt skin peels off) is going to be untanned while the rest of your body is going to have the darker spray tanned skin. Clearly this is going to create a very patchy, VERY uneven finish. The Fix: DONT GET A SUNBURN!!! Failing that, exfoliate (ouch!) extensively before getting your spray tan. NOTE: If you are peeling I will not guarantee the results of your tan.Fun Fact2: At a higher altitude it is easier to become burnt because there is less of the earth's atmosphere to block the sunlight. UV exposure increases about 4% for every 1000 ft (305 m) gain in elevation!9. My spray tan faded after working out:This happens when you work out before your spray tan has had time to set properly. The Fix: Wait for your tan to set before breaking a sweat. For "regular" tans this means waiting 16 to 24 hours before working out, and for "rapid tans" this can mean waiting for as little as 60 minutes though it is recommended to still wait that 16 to 24 hours because though you can wash off a rapid tan, the DHA is still developing during that time. Wait until AFTER your first shower before exercising for best results. Fun Fact: 10. Too much tan between the fingersMost commonly occurs because the fingers were closed/held close together while her hands were being sprayed. The Fix: make a claw with your hands as if you holding a grapefruit, being careful to keep your fingers separated. *Note: I did gather info from Aviva Labs' blog. It was edited slightly to be relevant to my clients. Can Men Spray Tan? YES! (05/04/2015) Spray tanning isn't just for women. Most men get spray tans for the same reason women do: because they want to look more in shape for vacations and holidays, healthier for weddings or family portraits, cruises and beach parties. Some use it to even out their skin tone in the winter or look younger (kind of like hiding your grays) on first dates. Here are two frequently asked questions regarding men tanning: Is preparation different than a woman?Spray tanning a man is no different than the techniques used for spray tanning a woman with a few key exceptions: 1. If a man has heavy chest hair/leg hair/etc. then the spray tan solution will not reach those areas as easily--this won’t be a problem if he isn't planning on shaving his legs/chest because you won’t be able to see the less tanned portions of his skin anyways. 2. Facial hair: if a man has a beard, mustache, or any other type of facial hair make sure that, if he is going to shave it soon, he shave it off BEFORE his spray tan. If he waits until after his spray tan to shave then he will end up with a reverse five-o’clock shadow and have much lighter skin where the beard had pre-tan. This is also important to remember if he is going to shave his legs/chest hair! Do men have to do anything different after getting a spray tan?Yes: it’s very important for men to remember to moisturize after every shave! Shaving is an exfoliation process and can remove color from a tan, especially when paired with oil-heavy shaving creams. He can use lotion or conditioner in place of these shaving creams to help pro long his new tan.